Save $4 when you buy two or more. Want to be consistent in your health (and save money)? The healthy human body should contain many, many beneficial bacteria that provide a myriad of important functions – from digestion to immune to vitamin manufacturing. In modern times, humans are not consuming as much healthy bacteria as we should to be healthy. 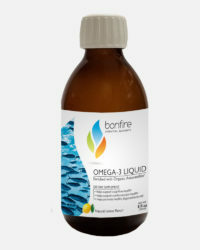 Also, things such as antibiotics – taken for infections, present in various food production processes – reduce the amount of normal, healthy flora within our bodies which negatively affects our health. 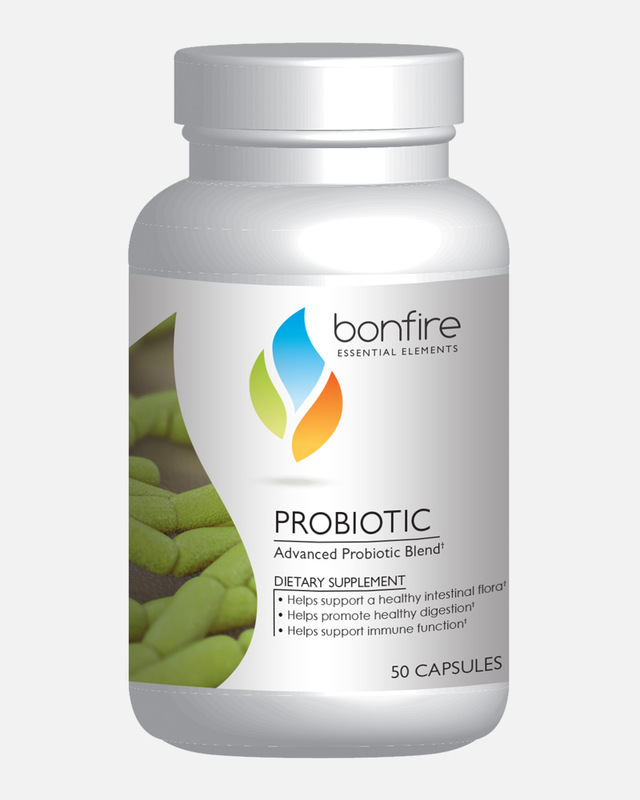 Supplementing with a quality probiotic is an essential and foundational strategy for being healthy. Bonfire Probiotic actively helps supply the healthy bacteria necessary for proper health. Maintaining a healthy gut is essential for increased immune function, proper nutrient absorption and optimal digestion. 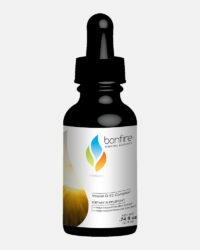 The 11 strains of bacteria strains found in Bonfire Probiotic have been determined through current research to optimize health; they are harvested and freeze dried during their most active growth stage, ensuring they remain active and resilient, and special processing allows it to remain potent without refrigeration. 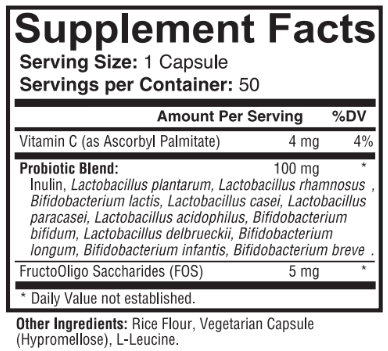 Added to the formulation are inulin, and fructo-oligosaccarides – ‘prebiotics’ which enhance viability and absorption. Take 1 capsule per day or as directed by your healthcare professional.